LevelUp Racing School delivers a foundational motorsport skill set in a safe, fun and affordable environment. Students gain confidence, speed, and the skills to drive just about any race car, under the instruction of professional racing drivers with pedigrees from the top levels of motorsport. 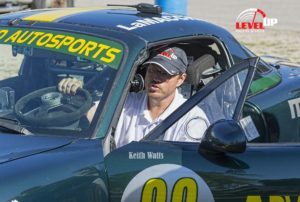 LevelUp Racing School is owned by former Skip Barber Instructor Peter Stolz, who is joined by a teaching staff that boasts 140-plus years of collective driving instruction. Also on the team are industry veterans Jim Pace, Steve DeBrecht, Keith Watts, and Terry Earwood. For more information, visit www.LevelUpRacingSchool.com or call 920-838-6612 for more information.